This paper is intended to show that in planar multilayered structures containing anisotropy, anomalies take place in which the reflected waves with the same polarization as that of the incident wave become zero due to the polarization conversion phenomenon. There exist conditions under which there can be no reflection. Not only when the waveguiding system supports hybrid polarization guided modes, but also when one of the polarizations is a guided mode and the other is a leaky mode, does no reflection occur. Formulas for such widths of the film and gap as would satisfy the no-reflection conditions are given. New schemes for various applications are proposed. Materials for multilayered structures. 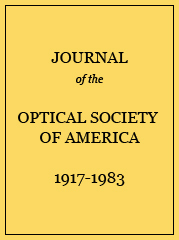 The operating wavelength λ0 = 1.152 μm; rotation of the optical axis ζ = 5°. a In the case of the anomalous beam shift, the media of the gap and substrate are exchanged.